This privacy notice details what information we store about our customers of Salmon Fish Scotland and how we keep your personal details safe. This privacy notice will hold the latest information regarding what we hold and what we use it for and will be updated as and when required. This privacy notice sets out the way we process and store your information. We will always refer to this page when we ask you for your consent. We will keep this page updated to show you all the things we do with your personal information so that you can be confident when sharing your information with us that it will only be used for the purposes that we state here. Under the General Data Protection Regulations Protection Act, we have a legal duty to protect any information we collect from you. We use leading technologies and software to safeguard your data and keep strict security standards to prevent any unauthorised access to it. • Name, Address, Email, Phone number, and your communication preferences. • We do not store any credit or debit card information. If you are you are aged under 16 you must get your parent/guardian’s permission before you provide any personal information. Personal information provided to us will be used for the purposes outlined at the time of collection, in accordance with the preferences you express. Personal data collected and processed by us may be used for the following purposes. • To fulfill our contract with you and our legal obligations, for communication e.g, newsletter and website. • Personal data collected and processed will be used by Salmon Fish Scotland and their appointed agents. Please check the privacy policies of any such external site before submitting any personal data, as we cannot accept any responsibility or liability in relation to them. • Organisations - when required by law for the purpose of the prevention or detection of crime. When we allow access to your information, we will always have complete control of what contractors/suppliers see, what they are allowed to do with it, and how long they can have access to it. We do not sell or share your personal information with any other organisations for Commercial purposes. You have control of how we communicate with you and you can update your communication options by contacting us at the address shown in ‘Updating andAmending your personal information’ section of this notice. All information you provide to us is stored on our secure, encrypted servers within the EEA. All transactions will be encrypted using SSL technology. The data that we collect from you for marketing purposes may be transferred to, processed and/or stored at a destination outside the European Economic Area ("EEA"). • If we are required to do so by law, any applicable regulation or to protect the rights, property, or safety of ourselves or others. • This may include disclosing to other companies and organisations in connection with fraud protection and credit risk reduction. Where we need your consent, we will ensure that you are as fully informed as possible at the time on what we do with your information, with whom it may be shared and how long we keep it. This is in line with the requirements of the current General Data Protection Regulations and other relevant legislation. You have the right to request, in writing, a copy of all the personal data we hold about you. This is a ‘Subject Access Request’. 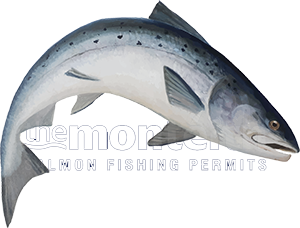 Salmon Fish Scotland aims to comply with requests for access to personal information as quickly as possible but will ensure that it is provided within 30 calendar days as required in the Act unless there is a good reason for delay. In such cases, the reason for delay will be explained in writing to the data subject making the request. This privacy notice applies solely to the personal data collected by Salmon Fish Scotland and its data processors for Salmon Fish Scotland and does not apply to third party websites and services that are not under our control. We cannot be held responsible for the third party websites and we advise our users to read the privacy notices of other websites before registering any personal data. We will ensure your data is held securely with password-protected access for a limited number of staff to process your requirements, orders and answer your enquiries. If you think your data has been misused or that the organisation holding it hasn’t kept it secure, you should contact them and tell them. If you are unhappy with their response or if you need advice you should contact the Information Commissioner’s Office (ICO).